Nothing beats a toasty outdoor backyard fireplace for those cool evenings spent with family and friends. Nashville Brick Mason is the premier outdoor fireplace contractor in Nashville and is the place to go to for your outdoor fireplace. ​Whether you want a simple and traditional rustic design, or a chic and stylish modern look, Nashville Brick Mason can build it for you! ​Outdoor fireplaces are the hot new addition to outdoor spaces as they add both style and function. 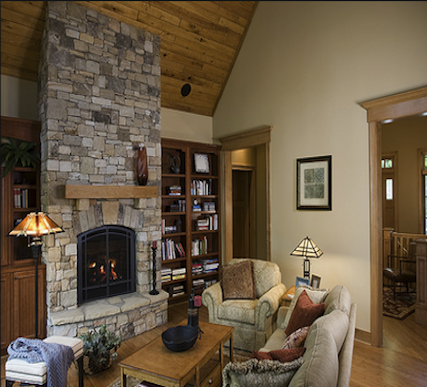 Our fireplaces are available in many different materials, designs, functions, and dimensions. If you know what you want, we can bring your vision to life. And if you don’t know where to begin, we can educate you and assist you in designing the ideal centerpiece or accent to meet your needs and match the look and style you want. Add flair and warmth to your property and create a cozy backyard haven. 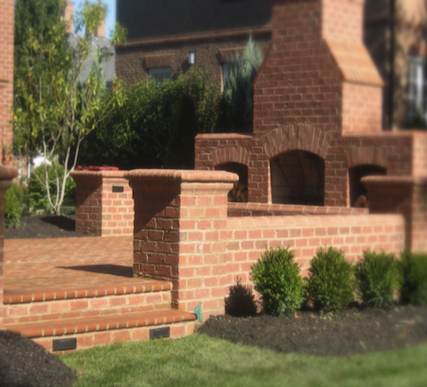 Reach out to Nashville Brick Mason to speak with our knowledgeable staff to learn more about the variety of outdoor fireplaces we can create just for you! Our outdoor fireplaces are built by our knowledge and professional staff with only the best quality stone, brick, and concrete. There’s a reason outdoor fireplaces are growing in popularity. They create the ideal spot to spend with others on cool evenings. The flickering flames of the fire are sure to entertain as they create a warm and cozy atmosphere. Make cherished memories with loved ones that will last a lifetime, and create a space that guests will love with an outdoor fireplace by Nashville Brick Mason. ​We are the best local fireplace installers, and we adhere to all safety and building regulations and standards to give you a worry free, safe, and special hang out spot. You don't have to go camping to enjoy all the fun of a comfy camp fire. And just like a campfire you can use it to roast marshmallows for the kids or make a cozy romantic sanctuary to cuddle with your partner. You’ll feel more unrestrained and free out in the fresh air compared to an indoor fireplace. The memories you’ll create around your outdoor fireplace will last as long as the fireplace itself due to our superb craftsmanship and lovely designs. So don’t wait, call us today to begin creating the perfect addition to your outdoor space to spend time with family and friends!